Excited to build on your community fundraising skills? Are you a go-getter, energetic and want to run your own show? Then this role is for you! TAD changes the lives of people living with disability and is entering an exciting new chapter of our 40-year history. As part of the Development Team, you will lead our community fundraising to help more people live their best lives. This will include recruiting, coaching and supporting cyclists and corporate teams to participate in peer-to-peer fundraising events such as the Spring Cycle and City2Surf. You will also re-energize and establish relationships with community groups and individuals to donate and hold a variety of events with your support. With a focus on recruiting new teams and partners, you will increase TAD’s event-related fundraising income to ensure we change more lives than ever before. Working in a supportive team, you will bring your upbeat and self-starter personality and organisational skills to work autonomously to be empowered to run your own show to achieve your KPI’s in a busy environment. This role will suit an organised fundraiser with a minimum of 1 years’ experience and will develop and utilise your skills in building and maintaining relationships, fundraiser recruitment and support and communications across online, face to face and phone. Training will be provided and self-education will help build your capability and take our community fundraising to the next level. Our office is based in Northmead with free parking, salary packaging and flexible hours available. Some travel and weekend work are required. People with disability, CALD, ATSI, LGBTQI candidates strongly encouraged to apply. If you have a great attitude and are ready to hit the ground running, get in touch! Visit https://tad.org.au to learn more about our cause. TAD changes the lives of people living with a disability by providing personalised equipment, technology and services. We aim to ensure that people with disabilities and their carers have access to innovative technical solutions, enhancing quality of life and opportunities for independence and participation in the community. 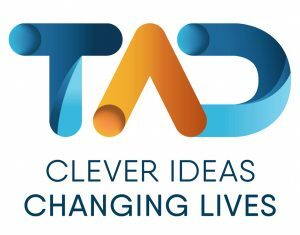 TAD is dedicated to providing unique solutions that improve the wellbeing, lifelong learning, daily living and community participation of people living with a disability. Freedom Wheels is a national service where skilled staff and volunteers work closely with children, families and therapist to create customised bicycles. Each Freedom Wheels bike is tailored to the child’s height and weight as well as physical and cognitive abilities. Our customised supports give children with disabilities the confidence and freedom to ride a bike. Please quote in application: Community Fundraising Coordinator via Pro Bono Australia.